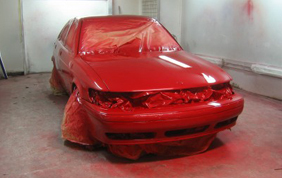 We can't teach you everything you need to know about how to paint a car, but here are a few things we can tell you. Here are some questions that we are asked frequently..and some pretty good answers, if we do say so ourselves. 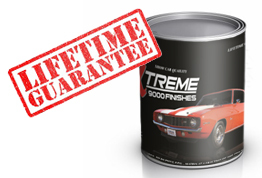 Xtreme Auto Finishes is the only auto paint company that offers two things in the industry that no one else does. 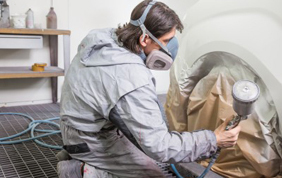 First, we offer a 100% Satisfaction Guarantee for the Life of the Product. And Second, we offer 2 1/2 times the industry standard of UV protection. Where Can I Meet The Paint Guyz? 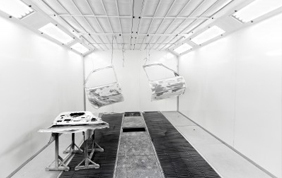 Am I Buying The Right Paint? How Much UV Protection Do We Offer? How Can You Offer This Quality For This Price? We get asked this question alot...and we've got a simple answer..